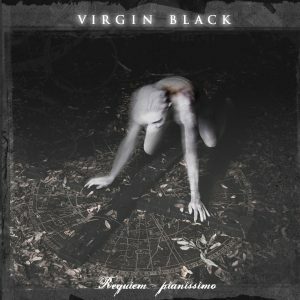 Much better than the ten years challenge, the release of Requiem: Pianissimo — the latest output by the Australian band Virgin Black — in the autumn of 2018 just arrived like some sort of epiphany, a sudden fall off a horse on our way to Damascus. Thanks to this event, we have also decided to get back to the previous two chapters, so that we could place them all in the right perspective; this way, we can introduce the masterpiece of a band that people who have recently approached dark music, in the era of social media and smartphones, perhaps might not know about. This would actually be a pity. When Requiem: Mezzo Forte was released I had started listening to doom metal and similar genres a couple of years earlier. Apart from the obvious love for masters such as My Dying Bride, I also enjoyed searching for almost unknown projects from all around the world. 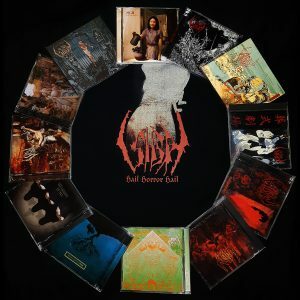 At that time, I frequently found records through the then emerging label The End Records (which hosted many relevant bands, such as Agalloch), and that’s when I was fascinated by the imagery and description of Virgin Black, an obscure Australian project portrayed as the ideal meeting point of doom metal, symphonic music, and mourning. 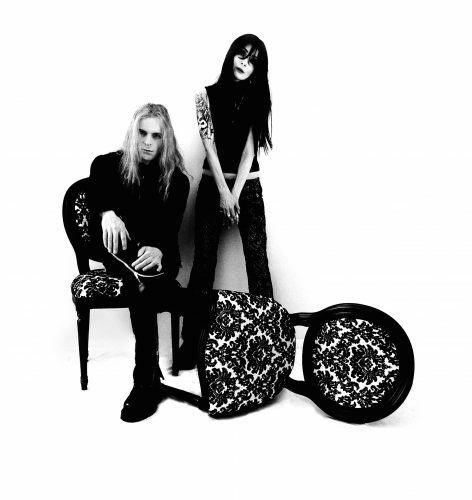 The band was coming from a couple of very interesting gothic/doom works like Sombre Romantic (2001, initially published through the small Crestfallen Records, then re-released via The End Records) and Elegant… And Dying (2003, The End Records again), which of course I then managed to recover. 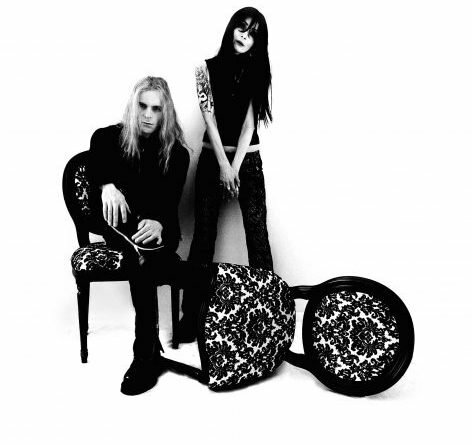 Virgin Black were mainly a creation by Rowan London (vocals, piano, and keyboards) and Samantha Escarbe (guitars, who has in the meantime changed her name to Sesca Scaarba), plus drummer Dino Cielo and bassist Grayh, who joined the band for Mezzo Forte. Let’s talk about this record, released in April 2007. First things first, “mezzo forte” defines the dynamic intensity of a composition which stands between piano and forte. In this case, even more than a musical theory description (which of course is a part of the universe pictured by London and Scaarba), the title mainly stresses the hybrid nature of this record. This is when the Australian project took one big step forward in the alignment of doom metal and symphonic music, which was also a big influence in the band’s previous records. Let’s also add the that the Requiem trilogy was conceived (and recorded) in 2006 as one complete work, composed by Scaarba and London, and performed in its entirety in cooperation with the Adelaide Symphony Orchestra and the Adelaide Stamford Academy Choir. The Requiem was split into three chapters, which should have theoretically be published one a few months apart from another. The correct order of the whole work is Pianissimo, Mezzo Forte, Fortissimo, for a total playing time of about two and a half hours of requiem mass (you can find more information about the specific features and contents of this style here). Nevertheless, only the second and third chapters came to light in 2007 and 2008 through The End Records, leaving a thick shroud of mystery around the first section of this mass. Mezzo Forte is the act in which the orchestra and the doom metal patterns of the band meet, after the spectacular intro “Requiem, Kyrie” where we are reminded with a certain persistence that «Sorrow ever awaits on joy». The entrance of Scaarba’s distorted guitar during the second song “In Death”, right after the verses «O wretchedness, O misery» sung by London, is worth everything by itself. The constant interaction between the orchestra and the band is what makes this chapter special and, I believe, one of the greatest gothic/doom albums of the decade. The weeps of the lead guitar never rushes to center stage, it glides and unfolds with its sorrowful brushstrokes instead, the voices interact with the choir and wonder about pain, faith, and loss, the absolute masterpiece “Lacrimosa (I Am Blind With Weeping)”. It goes without saying that back then, after listening to Mezzo Forte quite a lot, I couldn’t wait for the second, or well, third, episode of the trilogy to come out. 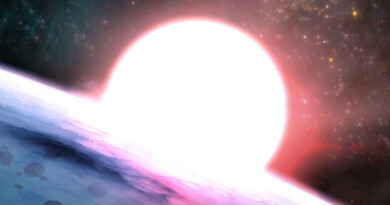 A few months later, in February 2008, The End Records pubished Fortissimo as well, proceeding with the imagery from the previous episode, but much darker. I welcomed that piece of news with great interest and immediately started listening to it. As you might imagine, Fortissimo is where Virgin Black take the metal elements up front, while maintaining the precious support by orchestra and choir, which add even more depth to the mass. This is a full-fledged death/doom metal album, with distortions, suffering, growl singing by the versatile Rowan London, interacting with the voice of the soprano Susan Johnson in the vein of gothic doom metal which was popular back then. In this section, Scaarba’s guitar is slightly more preponderant than before and once again is the most recognizable element of the metal part of this Requiem. Fortissimo is also the shortest chapter, less focused on the atmospheres created by the orchestra and choir: an album relatively more straightforward, even enjoyable separately from the rest. In the relationship between the two albums, we can catch and appreciate the recurring musical themes in the mass, as well as several verses previously performed by London as a tenor or baritone, here revisited in growl. In “Darkness” we face our end and the coming of Judgment Day, thus reaching London’s final invocation, «My God, exhort, to not merely draw air, But breath the skies», prior to the reprise of the main theme in “Forever”, this time only played on piano. And here the curtains fell on the extremely heartfelt requiem mass composed by Virgin Black, in our wait for the mysterious third (well, first) part, which at the time was supposed to be few months’ one. Things would go very differently instead, Pianissimo wasn’t released the next year, nor the following one, in the meantime The End Records changed its priorities a little bit (for example, Agalloch had moved elsewhere), until pretty much everyone lost track of the album. So Pianissimo became one of those legends about which nobody seems to know anything factual. 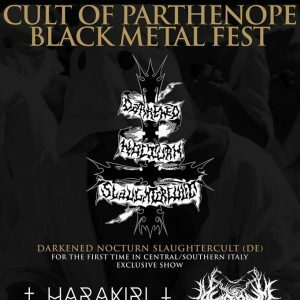 Every once in a while, some rumours would come up around the many metal websites — which had become really numerous (we started in those years ourselves) — but they would always end up in nothing, until people eventually stopped talking about Virgin Black, part of a world that in a sense didn’t seem to exist anymore. Or maybe not. Ten years went by. Thanks to an almost transcendent tenacity, and with a strong albeit problematic faith, suddenly Rowan London and Sesca Scaarba announced the release — this time by themselves — of Requiem: Pianissimo. 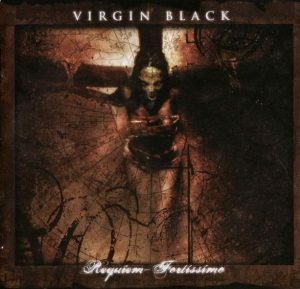 At the beginning there were lots of uncertainties, considering all the previous troubles, but the upload on the official Virgin Black YouTube channel of the first two songs (“Requiem Aeternum” and “Dies Irae”) in September 2018 finally cleared all doubts: the trilogy would be finally complete. On the 30th of November, 2018, Pianissimo became available on the official website together with the other two chapters of the Requiem, also reprising the visual theme, although with a different color palette. The three covers, especially when seen together, are highly reminiscent of the British artist Dave McKean, extremely popular in the gothic/doom scene back in the ’90s. Let’s make it clear that we are talking about an album that was composed and recorded together with the other two, so consequently representing the same creative process and the same era. It wouldn’t make much sense, then, to treat it as a new release, in which to look for evolutions or differences in content. Pianissimo is the first chapter of the Requiem mass, entirely performed by the orchestra, thus completely devoid of sonic elements related to metal. 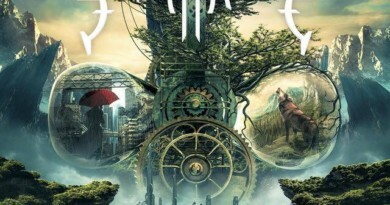 Nevertheless, the composition background of both London and Scaarba is clearly influenced by the gothic/doom universe in this context as well, but of course don’t expect to hear any of the weeping guitars and growls accompanying the clean vocals or choirs that will be such crucial elements in the latter two parts. Imagine, instead, a genuine attempt to get in touch with God, to give voice to the pain of loss and to reflections on the way to Judgment Day. In addition, the release of Pianissimo also helps us to put the other two records in the right perspective, balancing the whole mass in three acts. In a sense, this three-way nature of the Requiem might even be interpreted as a musical rendition of the angelic voices and the music of the spheres of Heaven, followed by the uncertainty of Purgatory, down to the violence of Hell. As you reconnect the two and a half hours (which you will seldom listen to in one sitting), it is definitely interesting to appreciate the musical themes reprised in different ways throughout the whole work, plus of course the textual references to the classic requiem mass. 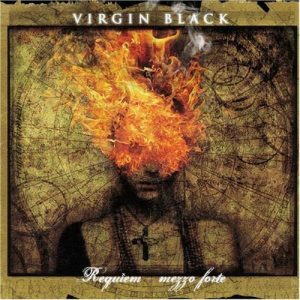 It is great to finally be able to listen to the most representative work by Virgin Black in its entirety, which finally gave the chance to know them also to people that maybe were to young in the ’00s, or just didn’t know about them back then. It’s quite curious to see how a band that had basically disappeared for most of the social media era, managed to become quite a hot topic once again by releasing a record that doesn’t even have anything to do with metal. Here we end this journey to the past through the present, and wonder if Virgin Black will be back again in the future, or if the conclusion of their Requiem will also represent the final conclusion of their musical adventure.